Running a successful business is full of challenges. Especially during times of transition. But when your people are motivated, inspired, and determined to give their very best, you can achieve great things. 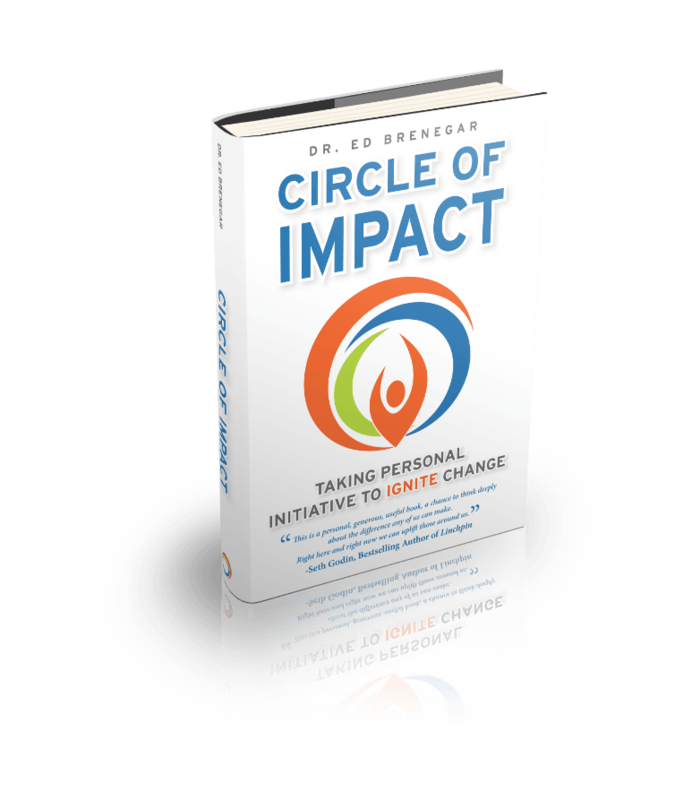 In Circle of Impact, Ed Brenegar shows how anyone can develop the personal initiative needed to create real impact both in their own lives and within their organizations. When I read Circle of Impact, I was struck by two thoughts. Ed Brenegar is the definitive expert on something we constantly experience in our lives that we keep trying to avoid: change. And, if there was ever a time we need an expert on change and the accelerated transitions in our lives, it’s now. Ed is the right man for our world right now. Read his book! Dealing with humans is the biggest challenge in leadership. And yet deepening relationships while creating a foundation of trust always does lead to personal growth and better results. In times of change Ed Brenegar knows how to unlock people´s potential by guiding them while asking the right questions. Here is someone who understands how to lead with empathy. The book is a must read to anyone who is interested in unlocking their potential and lead more humane. I have worked with Ed for almost 3 years. His process and results could not have been better and Ed gained the confidence, appreciation and trust of the team and executives. Because of his great work on this engagement we brought him back to be a coach for our executive team to help us build stronger and more effective relationships across the team. If this sounds like your organization, don’t worry; you’re not alone. Every business faces challenges. But when you empower those around you to lead, you’ll ignite change, overcome difficulties and accomplish more than you ever thought possible. Discover how creating a leader-rich community allows businesses and individuals to thrive in a world of transition. Your people are your greatest asset. Imagine what they’re capable of when you release their untapped potential. Ignite, inspire and entertain your audience when you invite Ed to speak at your next conference or event. We respect your information and never spam. A leader for leaders, Dr. Ed Brenegar is a speaker, author, coach, and a recognised authority on leadership and transformation. He works with individuals and organizations, helping people take the personal initiative to improve their professional and personal lives. In addition to his speaking and coaching activities, Ed is the author of Circle of Impact, a powerful new book that redefines the concept of leadership. How do leaders create the impact that matters?